Exchange & Outlook email and calendar client that uses EWS/OWA/Webmail protocol to sync emails and events. 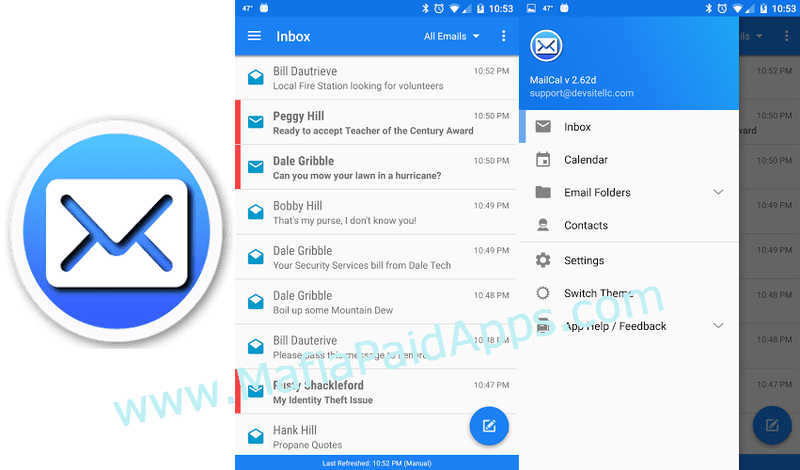 Modern looking, and uses webmail (ews) access to connect, thus being a perfect solution if you want to access company mail on personal devices without submitting the device to company restrictions. This app acts as a PULL client (over EWS) instead of PUSH client (ActiveSync) and therefore can allow users to access corporate email without making company IT take over as Device Admins (as long as your company allows webmail/ews access).